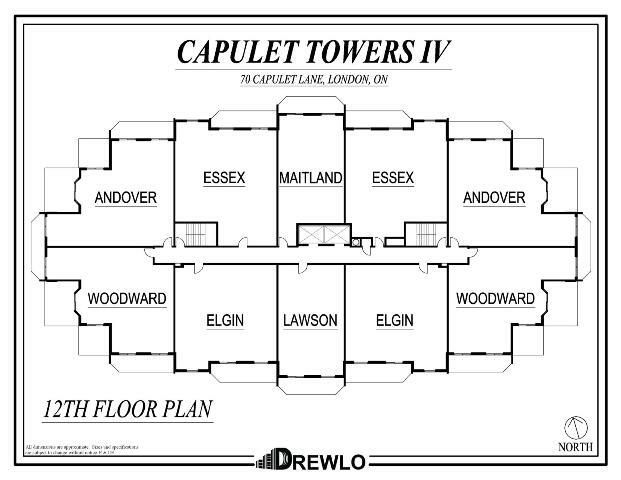 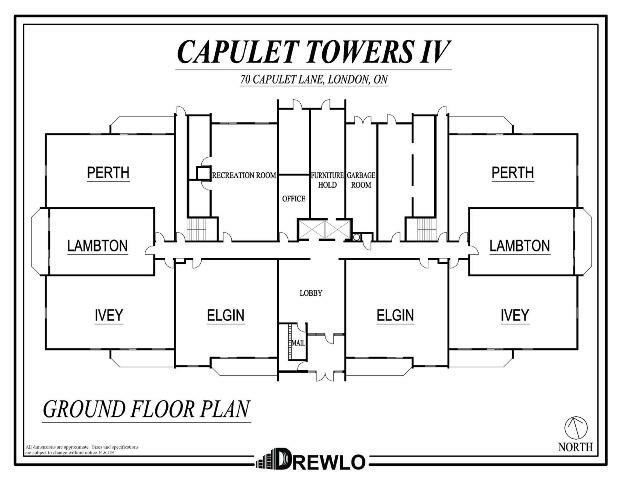 Capulet Tower IV is one of two entirely non-smoking Apartments in London Ontario offered by Drewlo. 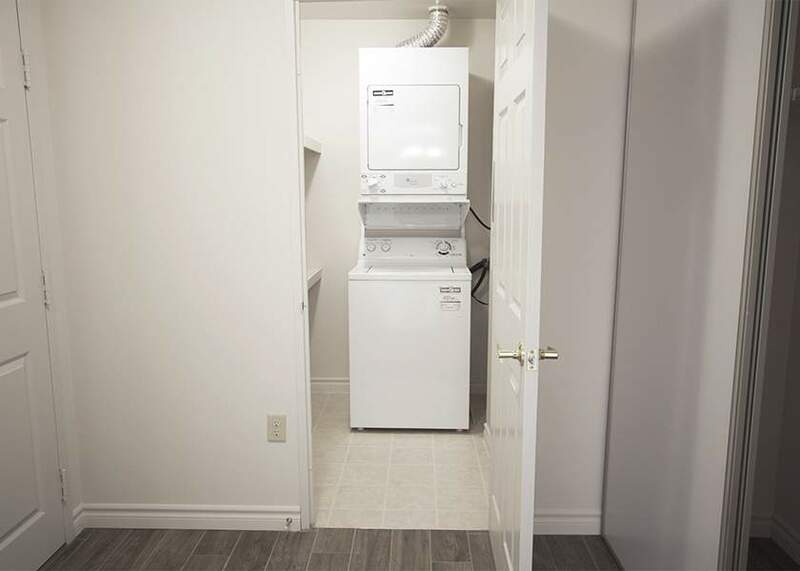 Make sure you're enjoying clean living with fresh air for you and your friends & family. 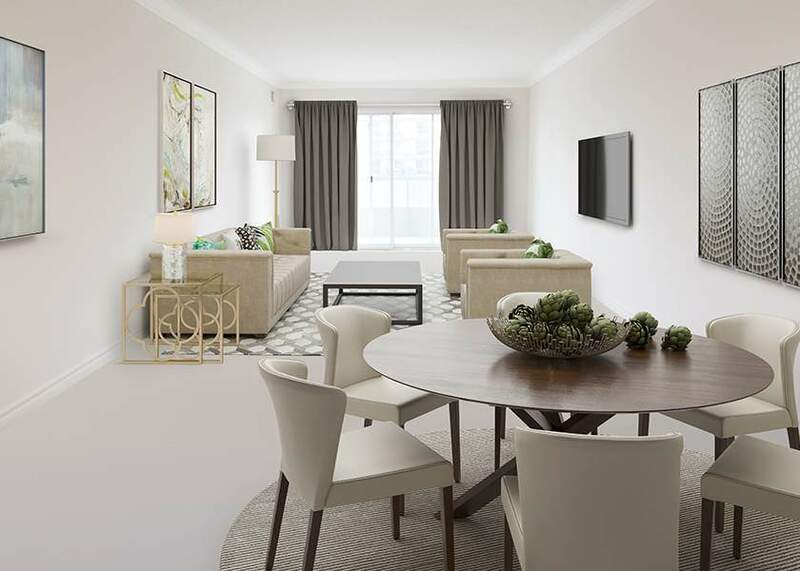 Inside, you'll find spacious suites with our signature details & inclusions, including balconies, in-suite laundry, individual thermostats, and walk-in closets. 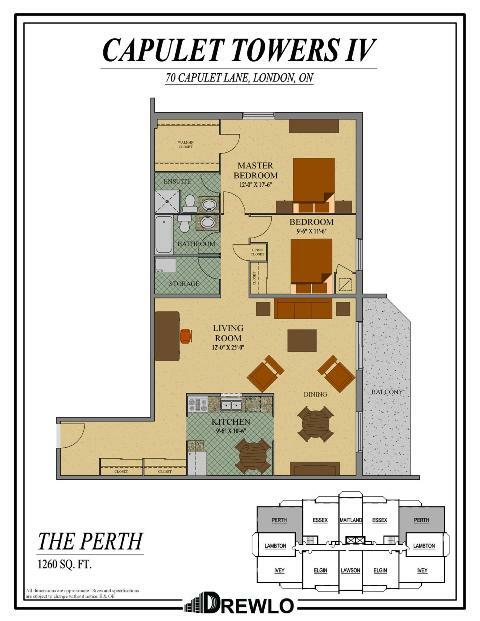 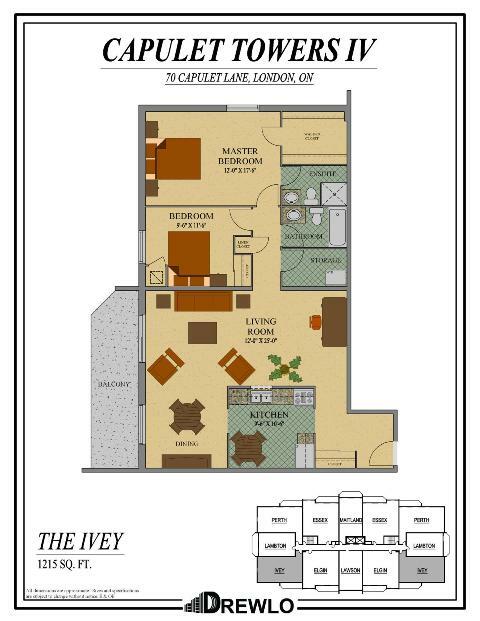 Top floor suites include granite countertops, stainless steel appliances, and large terraces for your outdoor enjoyment. 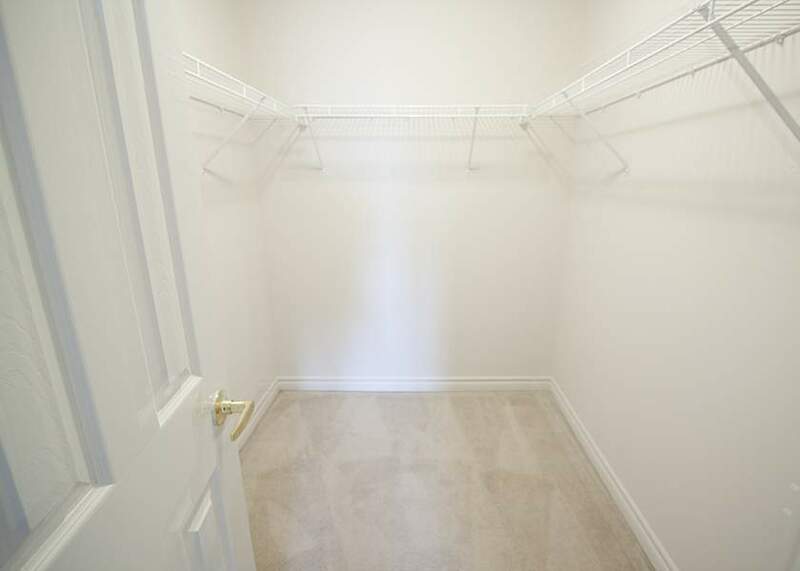 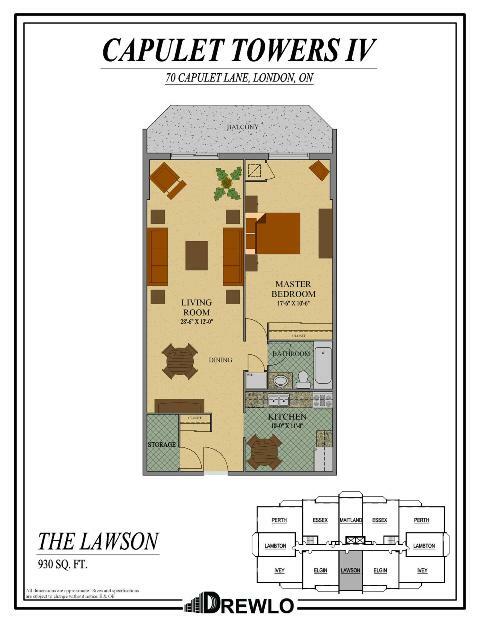 There are options for everyone with our 11 different floor plans between our one and two-bedroom apartments, with options for covered/uncovered parking and suites that are cable & internet ready! 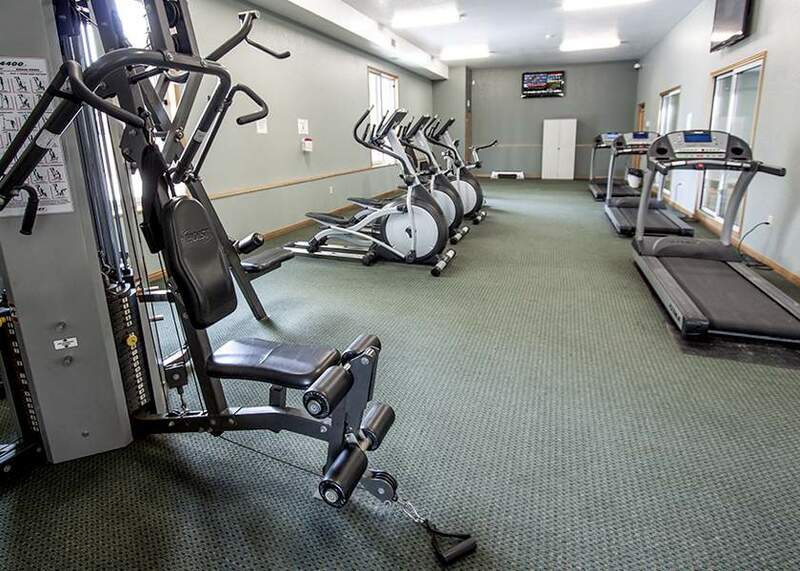 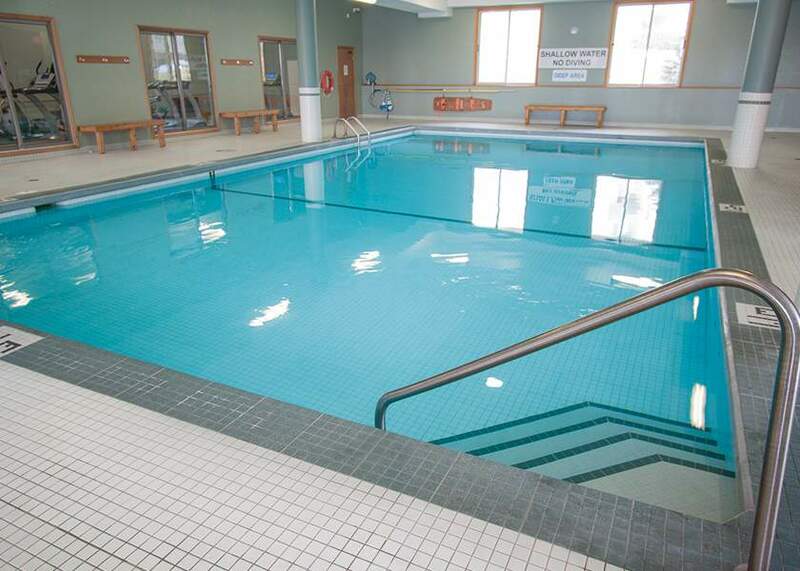 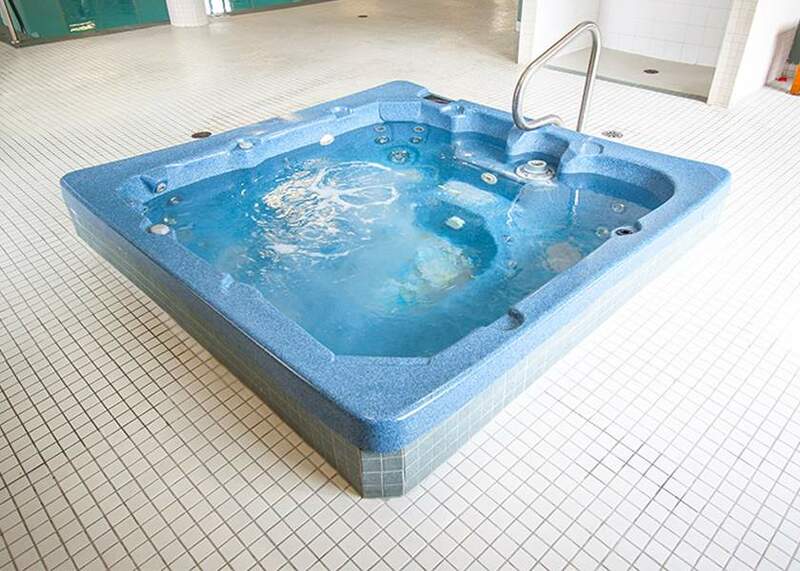 including a fitness room, indoor saltwater pool, hot tub, & sauna, you'll have lots of options to focus on your personal heath and wellness in a secure and well-maintained building with on-site staff & wheelchair accessible entrances to the building. 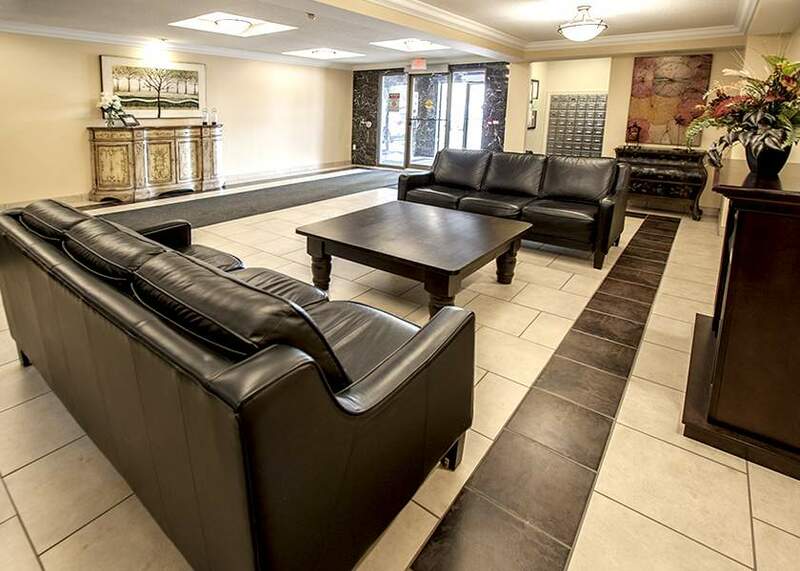 We also offer a social room for neighborly get togethers for our tenants. 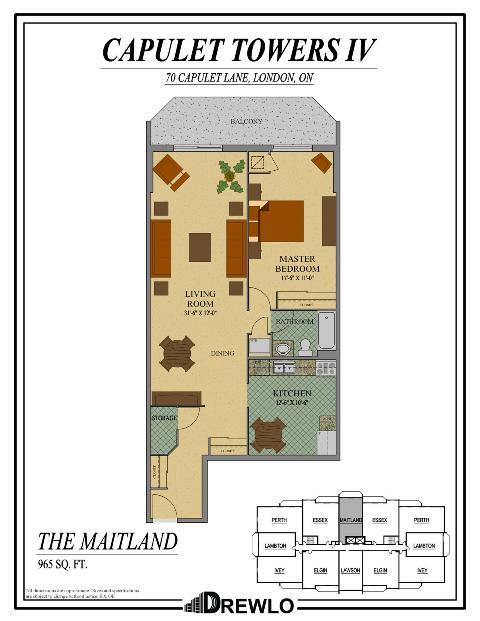 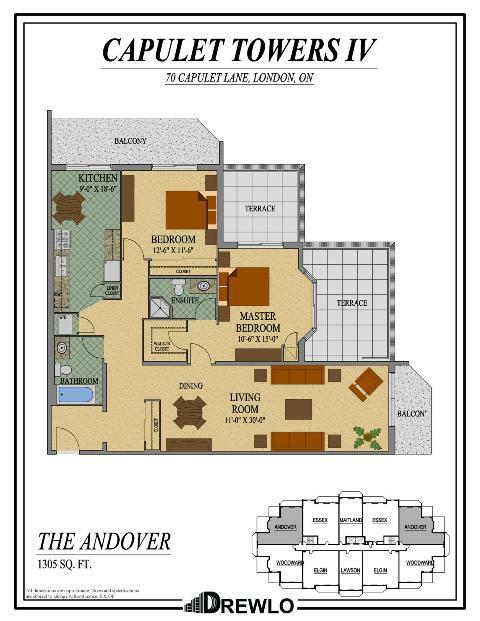 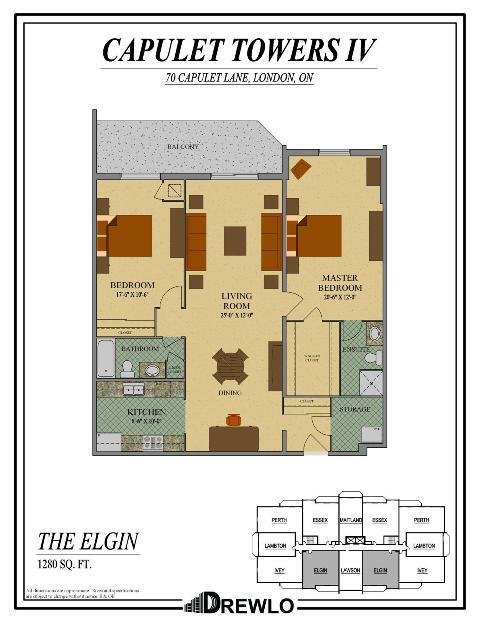 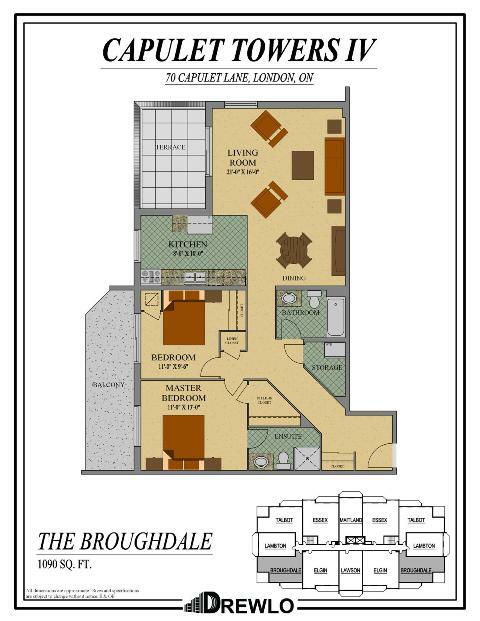 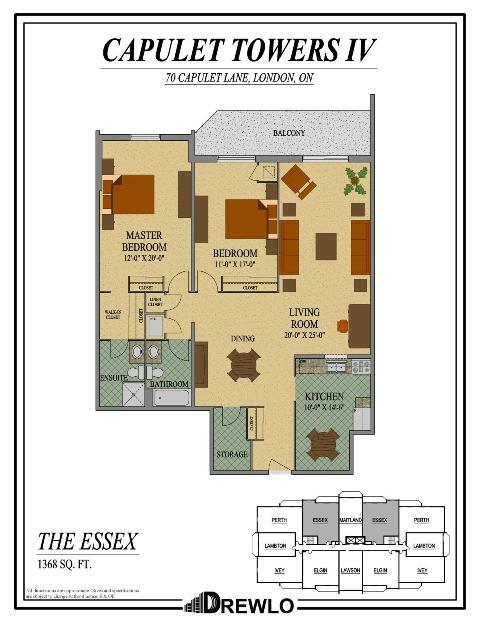 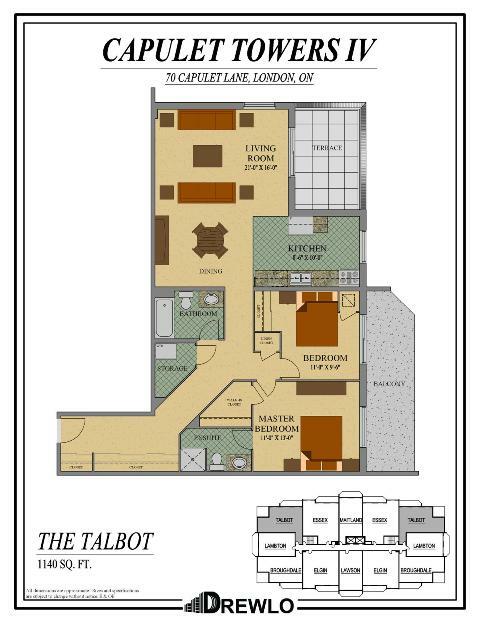 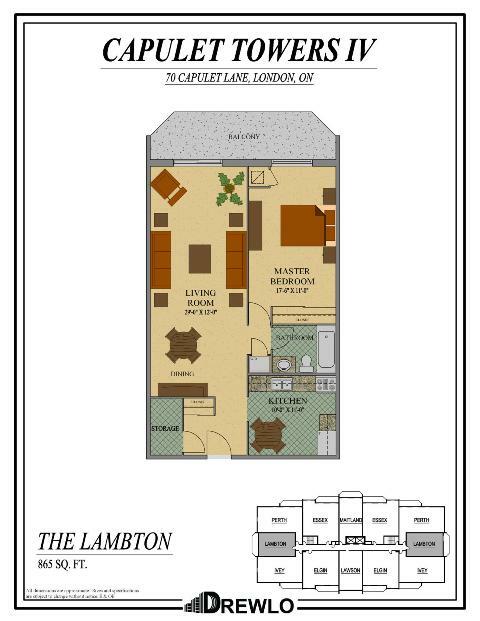 Not only does Capulet Tower IV offer incredible in-building options to make this one of London's best apartment rental options, but the West London location means you're never far from a huge selection of shopping, groceries, or new restaurants to try just a short walk from your home! 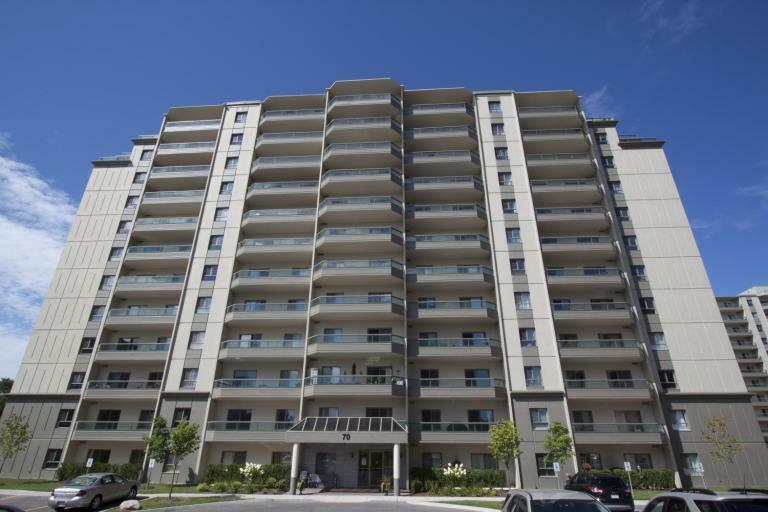 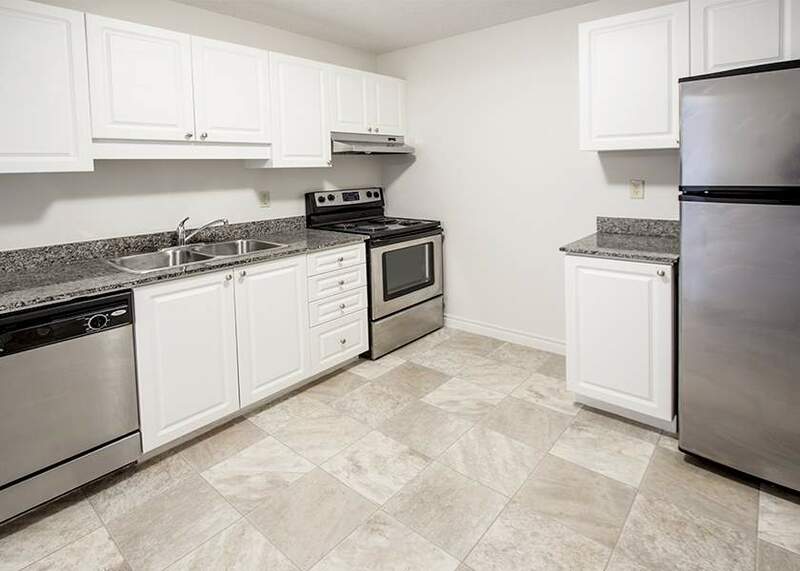 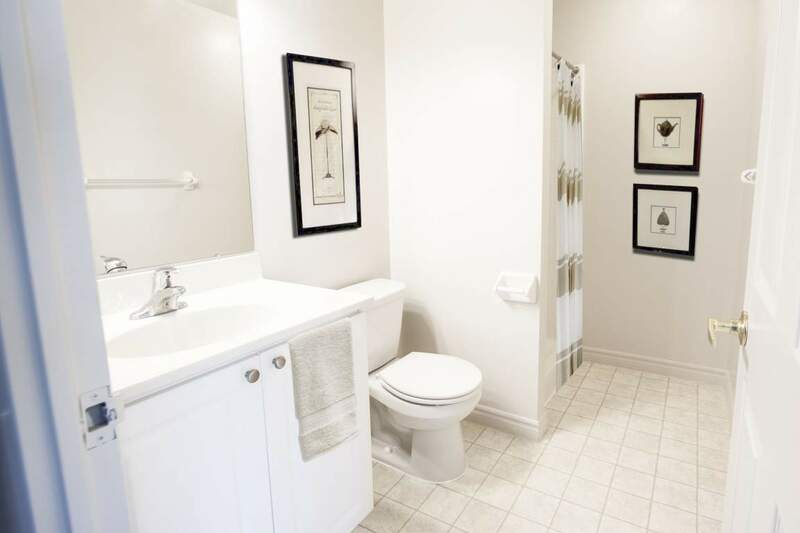 The west-end location of these Apartments in London Ontario isn't just great for its access to London's shopping scene, it's also great for anyone who likes to explore nature and have afternoon adventures on local trails. 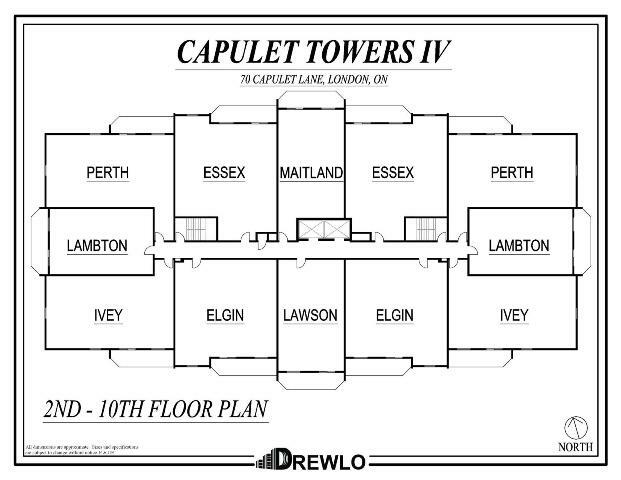 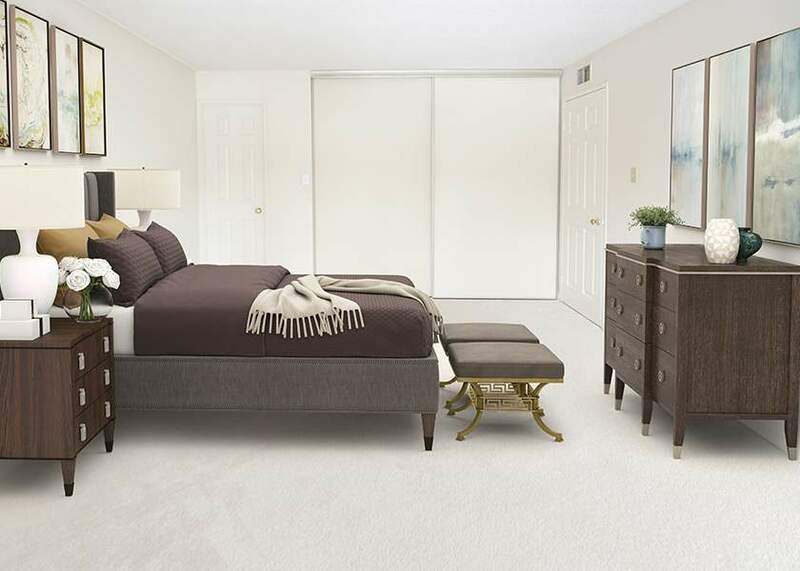 Capulet Tower IV is just a bike-ride away from parks and the trails that wind along the Thames River, offering a range from afternoon walks to options for longer hikes on trails that follow the Thames River all the way through London! 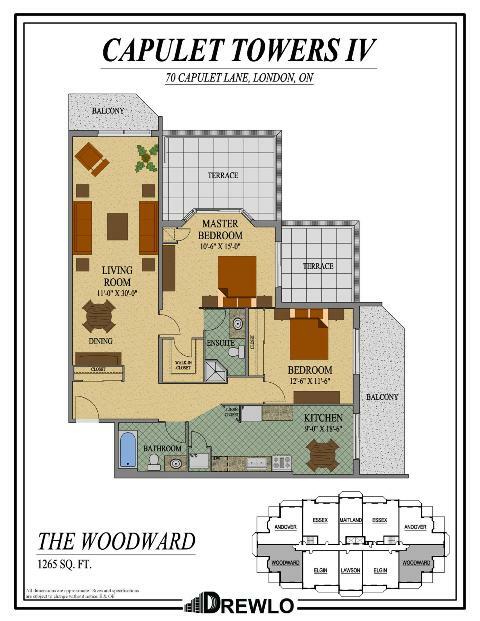 With excellent parks nearby, like Beaverbrook Woods and Whetherfield Park, Capulet Tower IV is a great rental apartment for anyone looking to live in London while being close to nature, with tons of places nearby to explore.